Grunge fans are getting their music fix, as two releases by early grunge band Green River, which featured members of soon-to-be famed rock bands Pearl Jam and Mudhoney, are being reissued. Longtime Seattle record label Sub Pop will unleash deluxe editions of Green River’s 1987 EP “Dry as a Bone” and 1988 album “Rehab Doll” on Jan. 25. 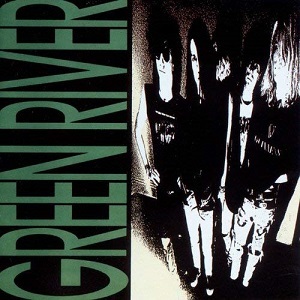 Green River broke up by the time “Rehab Doll” was released in 1998. It was the band’s only full-length album. Band members Mark Arm and Steve Turner went on to be Mudhoney, and Jeff Ament and Stone Gossard became a part of Mother Love Bone, followed by Temple of the Dog and then, at long last, Pearl Jam. Over the years, the members of Green River have reunited for a handful of gigs, the most recently being in 2009. Arm and Turner performed with Pearl Jam last August during a concert in Seattle. In other news, Pearl Jam guitarist Mike McCready has posted a new solo song titled “Show Your Colors.” The blues-infused song, which features Molly Sides and Whitney Petty of the Seattle band Thunderpussy, is streaming now via Rolling Stone. He recorded “Show Your Colors” for the movie “Sadie,” a drama about a girl growing up while her soldier father is at war. The “Sadie” soundtrack will arrive on Nov. 16.